Until recently, Barcelona was a place that was hard to find decent vegetarian food in. In a city proud of its Jamon, vegetarians were directed to limp salads (which often had tuna in them) or had to live on a diet of bread and cheese. So if you were vegan, your options were pretty dire. One of the pioneers of the vegetarian / flexiterian / vegan movement in Spain is Teresa Carles, who started her first restaurant back in 1979. She now has several restaurants, juice bars and home delivery options in Barcelona. 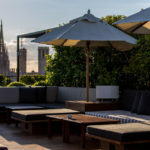 The growing worldwide ‘wellness’ movement has inspired a series of other vegetarian and vegan restaurants in Barcelona alongside health food supermarket chains such as Veritas with a few smaller ones dotted around the city such as Biospace on Carrer Valencia and BioPassio in Gracia. 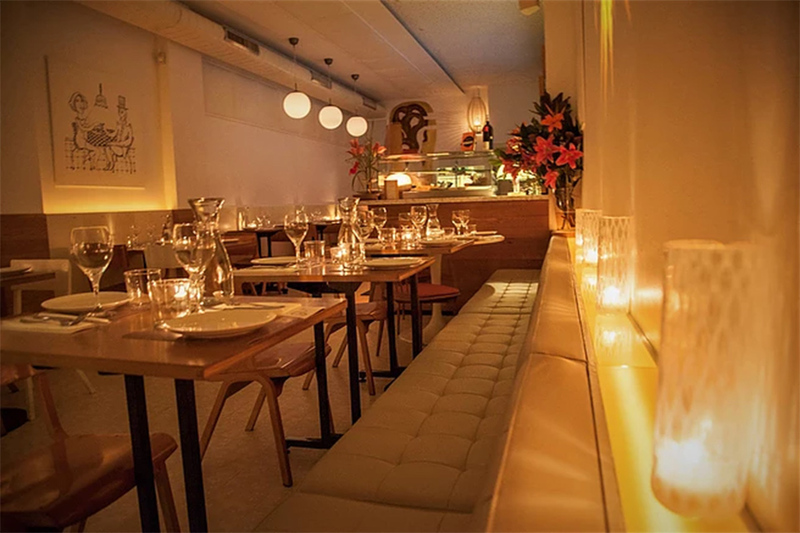 DestinationBCN brings you our list of Barcelona’s Best Vegetarian Restaurants. “Eat better, be happier, live longer”, is Flax & Kale’s motto. 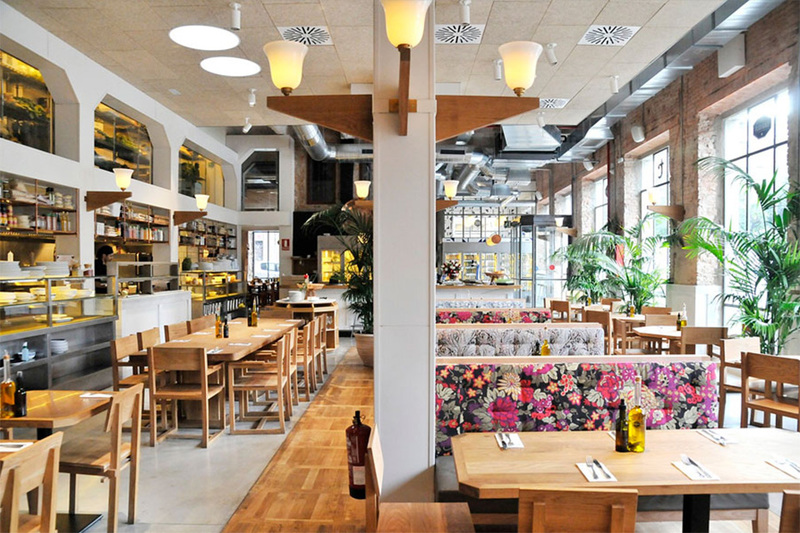 Situated in Ciutat Vella, F&K is a stylish place reminiscent of some of New Yorks’s raw food movement restaurants. Predominantly plant-based food, Teresa offers a vegan and vegetarian menu, including some “flexitarian” (sustainably caught fish) options. The juices are cold-pressed, and the purées, veggie milk and smoothies are made with organic ingredients. There are three branches of F&K in Barcelona so you’re never far from your next juice fix. Teresa is an epicentre for all things healthy. Located in the Born, a stone’s throw from Jaume I metro station, its window features every possible incarnation of cold-pressed juice imaginable. Try the Vampire Vampire (pear, beetroot, lemon, ginger, carrot, pineapple and orange) or one of their veggie-nut mylks, activated H2Os, or freshly made smoothie. Sustainably grown products and freshness are the key here. Salads are delicious – we recommend the roasted carrot salad with cashew nut cream; the fresh tuna and quinoa poke bowls or perhaps the crunchy tacos (both vegan and seafood options). They also have a delicious range of gluten free vegan cakes. Take away to nearby Ciutedela Park or perch yourself up on one of their high stools. Chiara Bombardi and Daniele Rossi, Slow Food aficionados challenge even the most hardened carnivores to temporarily forget about meat in this delicious vegetarian restaurants. They also defy vegetarians to rise above tired staples such as the veggies burger. 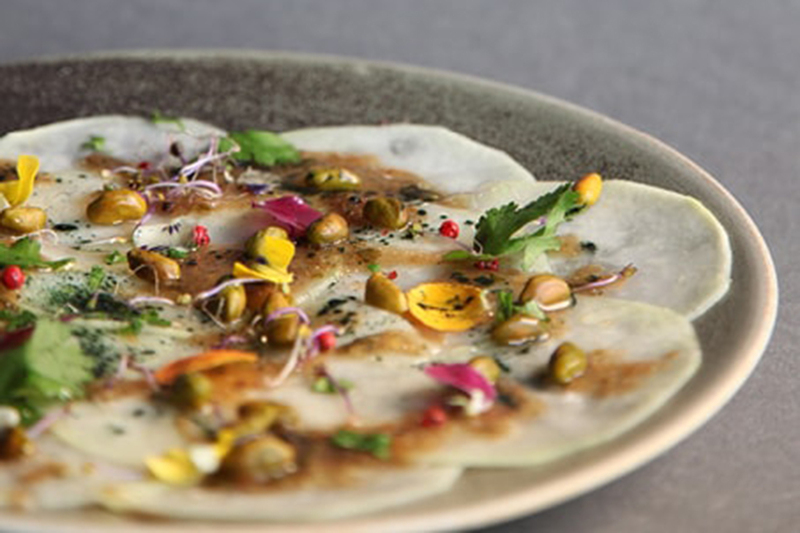 Instead food is designed to delight and inspire with dishes such as Buffalo-milk mozzarella with tomato and basil foam or the delectable Banh Xeo – coconut pancake with smoked tofu, spicy carrot and mushrooms. Dishes are designed to share and ingredients are all sourced from local and sustainable sources. 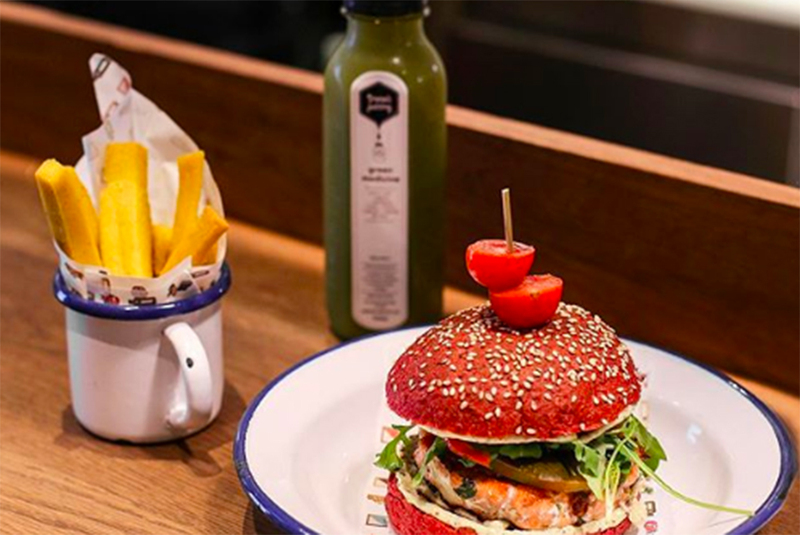 Located in Port Vell (between El Born and Barcelona Port), the Green Spot is another place which will make meat eaters forget about their usual diet for the night. The menu features Indonesian inspired dishes such as Gado Gado (salad, kelp noodles, tofu, tamarind and peanut sauce); to Mexican / Korean quesadillas with kimchi and avocado. There is live music on Thursday nights. This cosy vegetarian cafe is located in Gràcia and features delicious affordable food with plenty of vegan options. Try the Zucchini noodles (“zoodles”) with pesto, the quinoa burgers or the Italian salads. The cakes and brownies are delicious. The service can be a little on the slow side, but the friendly staff and relaxed vibe make up for it. 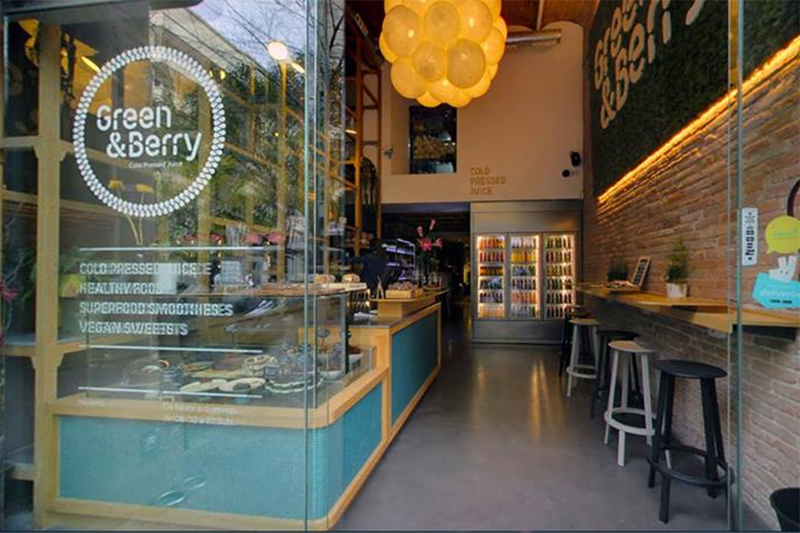 Located on the lovely pedestrian street, Carrer d’Enric Granados in Eixample, Green and Berry servers up delicious organic food and cold-pressed juices. It’s mainly a juice bar, so not really a place to come for a substantial meal with friends, but it’s a great place to nip in for a quick healthy breakfasts (Green porridge, Acai fruit bowls) or fresh salads featuring red quinoa and spinach as well as juices and smoothies. Gut is more of a ‘flexitarian’ option with some delicious seafood options included in it its predominantly plant-based menu. Located in Gràcia, Gut has great food (including lots of gluten-free options) with a relaxed and friendly vibe. During the week choose from the Menu del Dia (3 courses) or the Petita Carta (short menu). Starters include interesting twists on Spanish classics such as include watermelon & strawberry gazpacho with carrot and celery sorbet to gyoza (Japanese dumplings); mains stretch from mediterranean vegetarian burritos or some pescatarian options such as white seabass tartar with mango, avocado and yuzu sorbet or prawn, feta and nectarine ceviche with Japanese vinaigrette. Cafe Cometa is located on Carrer del Parlament in Poble Sec which is fast becoming a trendy area for interesting cafes and bars. It is run by the same people who run the super cute Cosmo Cafe on Carrer d’Enric Granados. Both cafes feature art and beautiful warm design as a key feature. Food is simple but good (salads, sandwiches and fresh juices and home made cakes).